General Motors has just launched a massive recall in excess of 4 million vehicles in order to fix an air bag software defect that has been linked, so far, to three injuries and at least one death. Most of these recalls affect drivers in the United States. According to the recall, the car’s sensing and diagnostic module—this is a tiny computer within the CPU that can sense what the vehicle is doing in order to control deployment of the air bag—can go into test mode in rare cases. If and when that occurs, the company says, the front air bags will not inflate in the event of a crash; and similar, the seat belts may also fail. Apparently, General Motors first learned of this problem back in May when a 2014 year Chevrolet Silverado was in an accident and its airbags did not deploy. GM had contacted the software developer, Delphi, and the two companies committed to testing the modules and then decided, last week, to recall the vehicles. GM is not at the stage where they expect to notify customers when the software update will be available; at which time, of course, it will be free of charge to all affected drivers. Dealers already have access to the software update so this “repair” should be able to pass quickly and with very little effort. This is the second large-scale real in the same number of days from a major US automaker. On Thursday, Ford had also expanded its existing recall of 900,000 vehicle to nearly 2.4 million vehicles over a possible door latch malfunction on six vehicle models made between 2012 and 2015. 2015-2017 Chevrolet Tahoe, Chevrolet Suburban, Chevrolet Silverado HD, the GMC Yukon, GMC Yukon XL, GMC Sierra HD, and the Cadillac Escalade and Cadillac Escalade ESV. 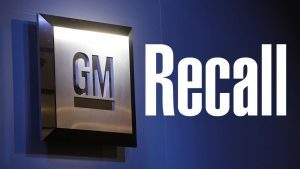 Perhaps more good news for GM, too, is that this recall is voluntary. That means the company will not be subject to the same massive payouts (upwards of $2 billion) in penalties, damages, compensation, and regulatory fines they had to pay for the 2014 ignition switch issues.